Douglas C. Smith, 72, of Marysville, died Thursday, February 14, 2019 at Riverside Methodist Hospital in Columbus surrounded by his family. A 1964 graduate of Piqua High School, he went to serve his country in the U.S. Army in Vietnam. He was the owner and operator of Marysville Dental Ceramics for many years and enjoyed rides on his motorcycle when he could find time, but his greatest joy came from attending any and all of his son’s sports and activities. He also loved to spend time with his four legged children, his beloved dogs. Born October 22, 1946 in Piqua, he was the son of the late Augustus and Mary (Sherman) Smith. He is survived by his wife of nearly 42 years, Karen (White) Smith, whom he married July 31, 1977 in Columbus. Also surviving are his sons, Matthew (Jessica) Smith of Germany and Brian Smith of Marysville and his grandchildren, Gavin, Khloe, Olivia, Scarlett and Lucas Smith. 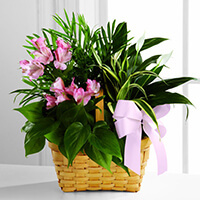 To send flowers to the family of Douglas C. Smith, please visit our Heartfelt Sympathies Store. 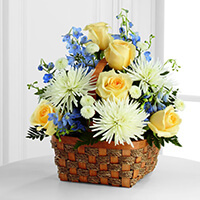 A Cut Above, Jeremy and Kim Cover , and others sent flowers to the family of Douglas C. Smith. Much sympathy and love to the Smith family. We pray you somehow find peace and comfort in the coming months. Doug was loved by all of us. God bless. We are sorry for your loss. Please let us know if you need anything, that is what neighbors are for. Prayers to you all. We will miss him so much. We have been blessed by your family and are praying for you in your time of grief. Know that you are not far from our thoughts and we are lifting your family in prayer.